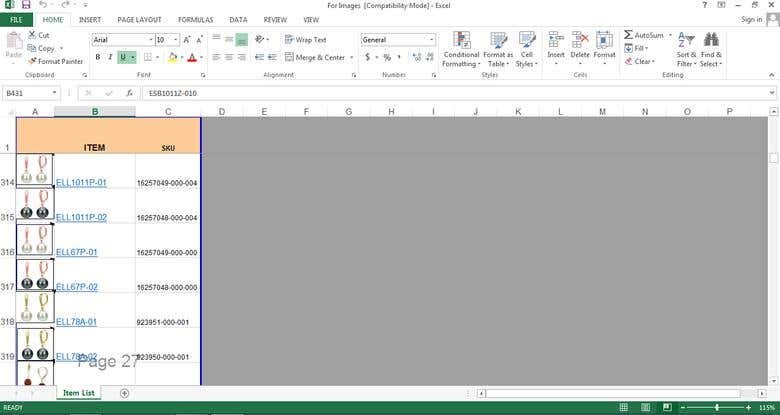 Download image and details from one website URL and save it to Excel. Image will will saved in defined pixel and in comment forma. I am a full time freelancer. I am passionate about my work. My thoughts are not limited to a room or a laptop. I want to touch the highest peak in the universe. I want to gain your goodwill by providing my best service. I will deliver the assigned project on time. I am also ready to work on your time zone. My Services: ◘ Website Design and Development ◘ Graphics Design ◘ Adobe Photoshop ◘ PHP ◘ Node JS ◘ My SQL, Mongo DB ◘ Data Entry ◘ Data Analysis ◘ Data Collection ◘ Data Mining ◘ Scanned Pages to excel ◘ Offline and Online Data Entry ◘ Internet Research ◘ All Admin Work Why me? : ◘ Good Quality Work ◘ 100% satisfaction ◘ Unlimited revisions ◘ 100% accuracy Thank you and I look forward to the opportunity to work with you.